We are glad to announce the official repress in Limited Edition in Colored Vinyl + free CD and insert of Scorie, Tiziano Popoli and Marco Dalpane’s minimal wonder from 1985. Long coveted and hunted by collectors, Scorie falls among the strange and definition resistant artifacts of Italy’s remarkable avant-garde music scene of the 70’s and 80’s. An emblem of sonic diversity rendered through electronic sound, distilling a daunting number of traditions and ideas, while sculpting its own world of creative singularity, standing apart from the rest. While a great many of Italy’s avant-garde and experimental music practitioners began within the spectrums of popular music, slowly pushing into more explicitly ambitious and challenging realms as the years wore on, Tiziano Popoli and Marco Dalpane represent a change in the directional tide. 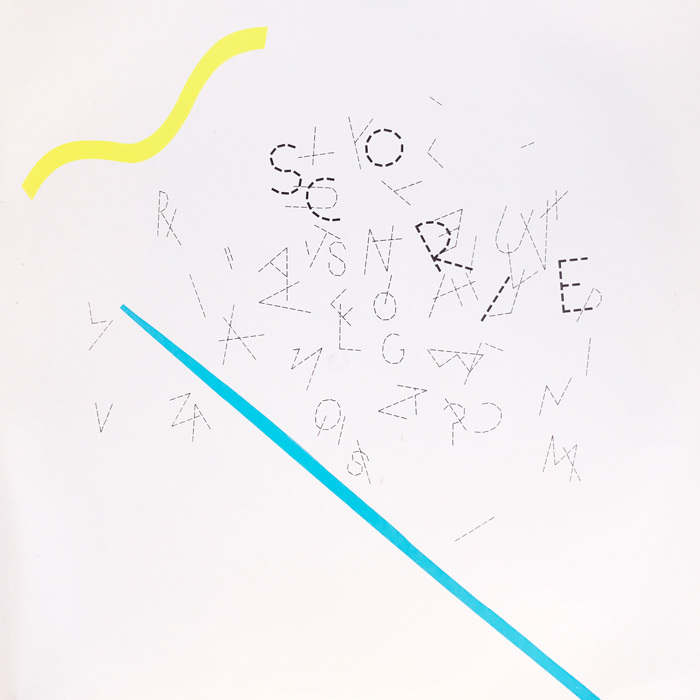 Scorie is a part of movement toward, and the incorporation of, popular forms, within avant-garde music which swept across the globe during the 1980’s. As challenging and uncomfortable as it is seductive and inviting, Scorie weaves a world without boundary, of collision and harmony. A vision of possible futures, rendered in its present day. A melodic realm, almost entirely constructed through the use of synthesizers, with subtle interventions of electronic rhythm generators, bridging the metronomic territories explored by Terry Riley and Steve Reich and the drifting harmonics of New Age, with the moodiness of New Wave and the adventurous spirit of the avant-garde.